The College was started with three classes of commerce by creating wooden partitions in the dilapidated hall without any government grant and in the very first year, 330 students enrolled. In the next year, College was shifted to the present building. 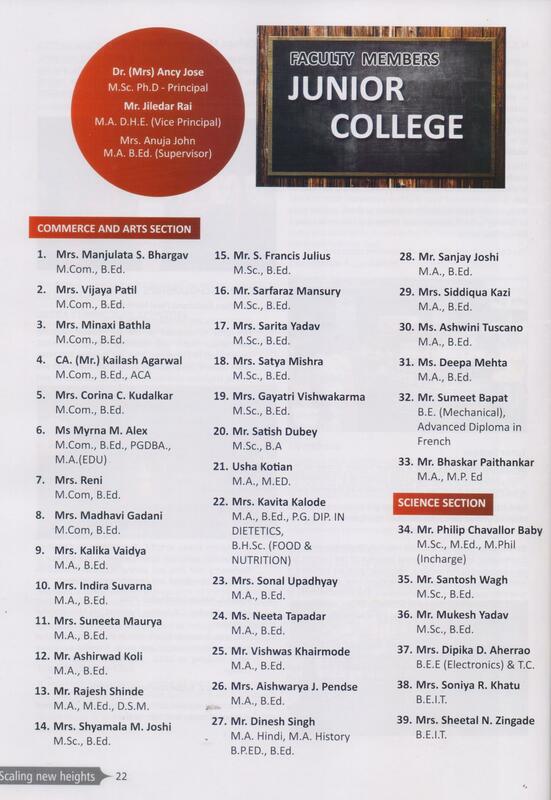 In 1988, Arts stream was commenced and the senior College was named as ‘Nagindas Khandwala College of Commerce and Arts’ and the Junior College was named as ‘The Bombay Suburban Grain Dealers’ Junior College of Commerce and Arts’. After 5 year of its existence,the college received the grant from the government. The College ran in two sessions morning and evening for nearly a decade. In 2001,the evening session was scraped and the degree College ran full-fledged in morning and the Junior College ran in the afternoon session. 6. Commerce and Arts Stream at 2 stage. The college today has established itself as one of the prominent colleges of Western suburbs.